Preston Kanak, creator of 3minuteshorts (he also is the assistant editor of Philip Bloom) is launching a new series of tutorials at no charge on how to shoot timelapse video. These video tutorials will help the seasoned professional and the hobbyist videographer. The series will be made up of seven parts, and you will see from this introductory video that Preston encourages you to leave comments on other things you would like to learn related to this subject. For this section, I will be covering a few different methods for processing the time-lapses as well as cover some of the ways in which to remove flicker from your time-lapses. I will also be focusing on a few composting techniques. – LR Timelapse, Lightroom, After Effects, Photoshop, Premiere, FCP 7, Quicktime 7, GB Deflicker, CHV Time Collection, ProRes vs CineForm, Photomatrix, GBS Timelapse & more. NOTE: I will be spending a substantial amount of time discussing how to remove flicker using various programs as it is a highly requested topic. 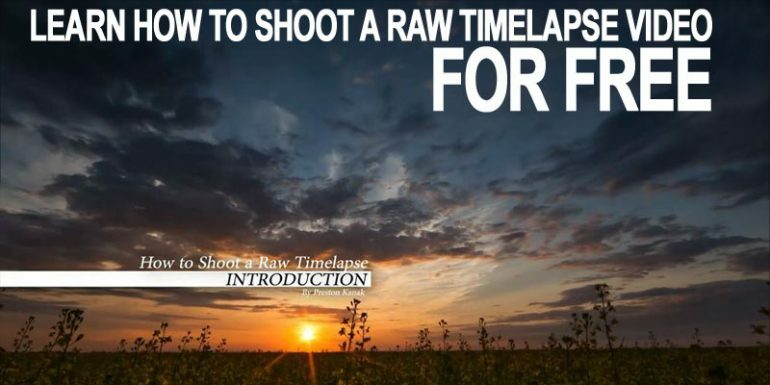 So if you are ready to dive into Timelapse Video then head on over to The RAW Timelapse Tutorial: Paying it Forward group on Vimeo.